INDIA. Mumbai. 2006. 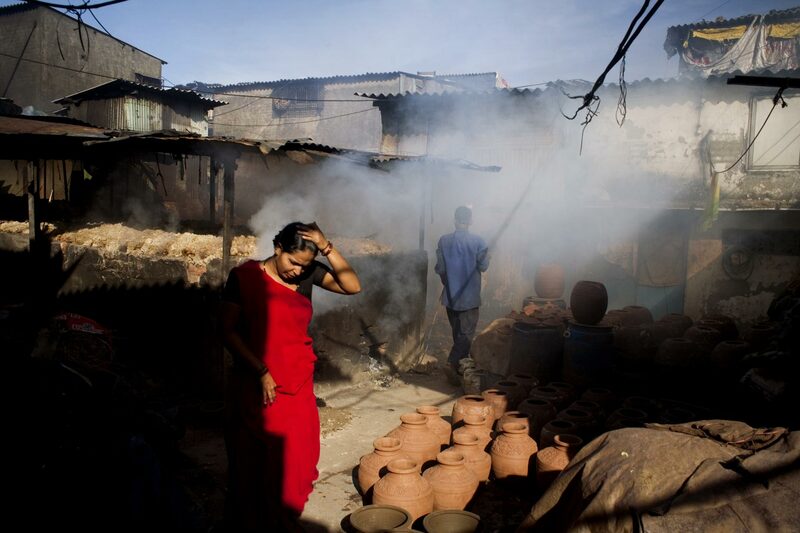 Scenes from around the Khumbarwada, the Gujarati potters' district, with their open kilns in the alleys. The kilns, which burn cloth scraps, cause much air particle pollution.